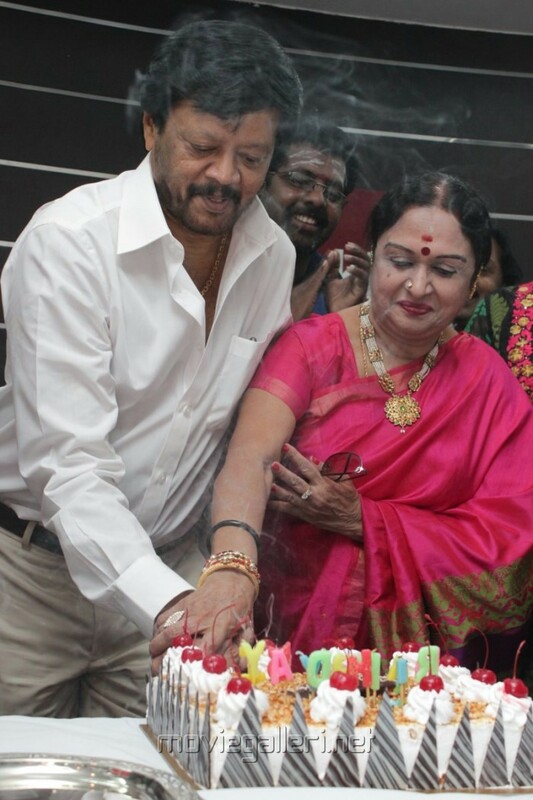 The 85th birthday celebration of the late Nadigar Thilagam Sivaji Ganesan that took place on October 1 in the city was marked with emotional speeches, acts of charity and awards for the veterans. Organised by Ramkumar, Prabhu and Giri Shanmugam of Sivaji Prabhu Charitable Trust, the Dr Sivaji Ganesan Memorial Awards were given to producer/director Muktha V. Srinivasan, director C.V. Rajendran, writer Kalaiganam, actress Manorama, playback singer L.R. Easwari and Villupaattu exponent Subbu Arumugam. 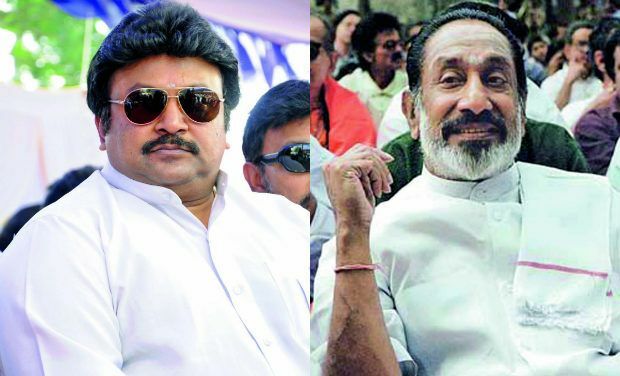 TRICHY: The inauguration of the statue of veteran actor SivajiGanesan still seems to be mirage after nearly three years of its installation in Trichy. The delay has caused disappointment among his fans, who expressed their frustration while observing his 13th death anniversary on Sunday. As a result of efforts from fans of actor Sivaji Ganesan, a nine-feet high bronze statue on a three-feet raised platform was constructed at 'Prabath Roundabout' at Palakkarai in Trichy in 2010 during the DMK regime. However, there was not much to cheer as the statue is yet to see the light of day. 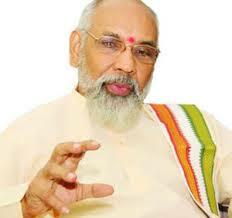 At this juncture, his fans on Sunday observed his 13th death anniversary at a few places in Trichy. At a programme held at Puthur Naal Road, Trichy district Sivaji Makkal Iyakkam observed the anniversary where the fans garlanded his portrait. 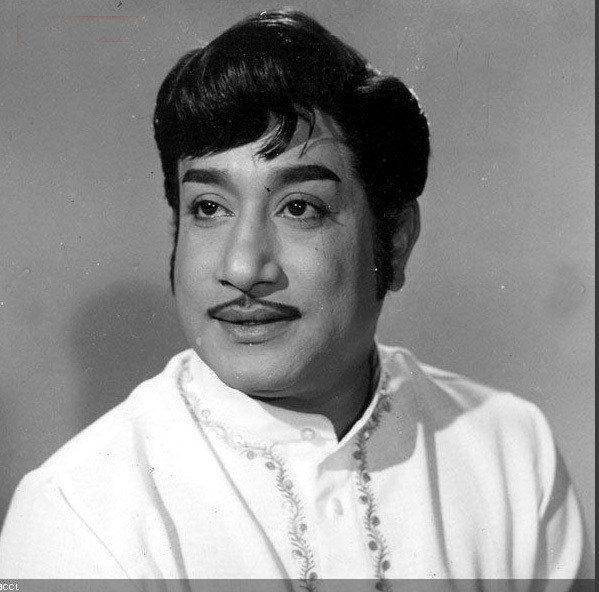 Sivaji Ganesan (October 1, 1928 - July 21, 2001) was a legendary actor in Indian cinema and one of the first method actors in India, making his mark during the latter half of the 20th century. 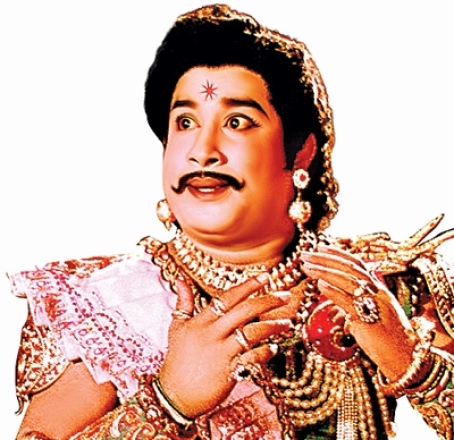 His fame came from his versatility and expressive prowess in Tamil cinema. In a career spanning close to five decades he has acted in nearly 300 films in Tamil, Telugu, Kannada, Malayalam and Hindi. Sivaji made his acting debut in the 1952 Tamil film Parasakthi, co-starring actress Pandari Bai which still remains to be one of the best films to have been made. He was the first Indian film actor to win a 'Best Actor' award in an International film festival, the Afro-Asian Film Festival held in Cairo, Egypt in 1960 and is also referred to as 'The Marlon Brando of Indian Cinema'. தி.நகரில் யாருக்கும் வளைந்து கொடுக்காமல் கம்பீரமாக நிற்கும் ஜெயாலுக்காஸ் கட்டிடம் நடிகர் தியாகராஜனுக்கு சொந்தமானது. ஒருவகையில் தியாகராஜனும் அப்படிதான். வளைந்தும் கொடுக்காமல் வழுக்கியும் விழாமல் இன்னமும் கம்பீரம் காத்து வருகிறார் மனுஷன். எல்லாம் பிள்ளைக்காக! பிள்ளை பிரசாந்த் மட்டும் என்னவாம்? சரியான அப்பா பிள்ளை. இந்த வருடம் தன் பிறந்தநாளை அமர்க்களமாக கொண்டாடிய தியாகராஜனுக்கு பிள்ளை கொடுத்தது சர்பிரைஸ் கிஃப்ட்! அந்தகால தேவதை, இந்த கால சாதனையாளர் சரோஜாதேவிக்கு போன் அடித்தாராம் பிரசாந்த். 'அப்பாவோட பிறந்த நாளை கிராண்டா கொண்டாடனும்னு முடிவு பண்ணியிருக்கோம். 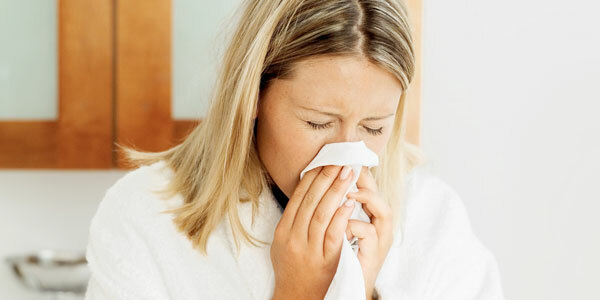 நீங்க கலந்துகிட்டா அப்பாவுக்கு சந்தோஷமா இருக்கும்' என்றாராம். 'இருக்கிற வேலைகளை அப்படியே ஒதுக்கி வைச்சுட்டு வந்துட்டேன். ஏன்னா, நடுவுல ஒரு பத்து வருஷம் சினிமாவை விட்டே ஒதுங்கியிருந்தேன். அந்த நேரத்தில் என்னை வந்து பார்த்தார் தியாகராஜன்'.